1. 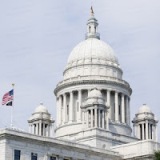 Margaret Dore, Legal/Policy Analysis of H 7297, Rhode Island House Committee on Health, Education and Welfare, memo available here; appendix available here. 2. Margaret K. Dore, “Death with Dignity’: What Do We Advise Our Clients?,” King County Bar Association, Bar Bulletin, May 2009.